Ross Everett, 52, had received the Independent Living Fund (ILF) for the last 25 years, allowing him to pay for help with everyday tasks such as washing, cleaning and cooking. Everett, from Brighton, was disabled by the side-effects of his treatment for HIV, which caused intense dizzy spells and balance problems. In recent years, he has developed rheumatoid arthritis, incontinence and memory problems, making the financial support from the ILF more critical to being able to continue living independently. But in June last year the government scrapped the ILF in England, after two disabled men lost a high court case to stop the closure. Everett says his social care support is now minimal. Instead of funding for 27 hours a week of help from the ILF, he has been offered just nine hours by the council, but with the requirement that he pays £60 towards the costs. He says he “simply can’t afford” that sum from his benefits. He is relying on friends to help support him. “It worked fine with the Independent Living Fund for years. I had help carrying the laundry from the bedroom to the washing machine downstairs and, if I couldn’t manage, loading and unloading the washing machine. They’d also hang it up to dry. I’d go shopping, but someone would come with me to get the things I wanted from the shelves, and unload the shopping from the car. They’d also put it away when I got home … Getting out and about was easier. If I had someone with me and I had incontinence, they would help me get home quickly. Now I can’t do anything,” he says, and feels a prisoner in his home. The ILF was set up in 1988 to help cover the considerable extra costs of being severely disabled and leading a full and active life in the community, rather than living in residential care. At the time of its closure, more than 16,000 severely disabled people in Britain were receiving an average of around £350 a week from the fund, which was worth £262m in 2015-16. The government argued that recipients would continue to be funded by councils, which had ILF resources transferred to them. However, Disability Rights UK research in 2015 suggested that only 29 councils in England would ensure this non-ringfenced funding from government would be specifically allocated to ex-ILF users. “We feared ILF money would go into a general local authority pot and people would have care packages cut,” says its deputy chief executive, Sue Bott. She estimates that over 120 English councils have simply absorbed the money from the ILF into their hard-pressed social care budgets. In Waltham Forest, east London, a freedom of information request by Inclusion London showed 53 out of 60 ex-ILF users have had their social care support cut since the fund’s closure. 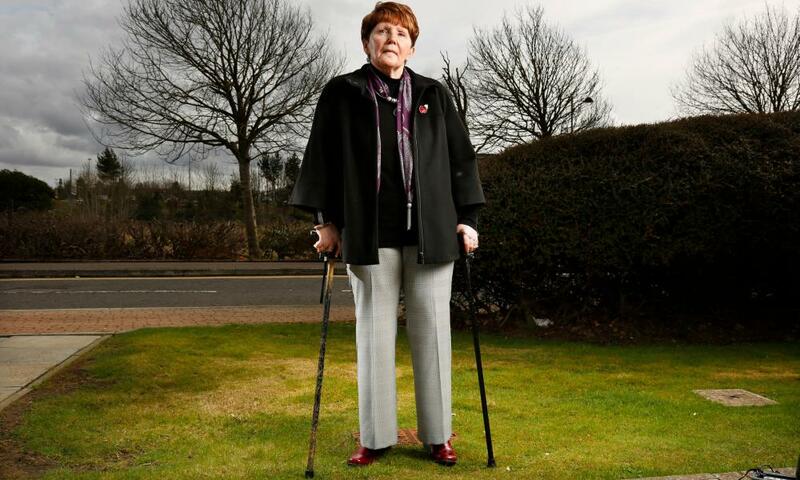 Margaret Simpson, 63, lives in the Scottish village of St Boswells, just 15 miles north of the border with England. Diagnosed with rheumatoid arthritis at 20 and already receiving help from the local authority, in 2003 she successfully applied for help from the UK ILF, which gave her 23 hours a week financial support. Since July 2015 she has continued to receive the same amount of funding from Independent Living Fund Scotland, which the Scottish government decided to set up to replicate the ILF and guarantee 2,800 users the same level of support they had previously. The Northern Irish administration has contracted ILF Scotland to support nearly 600 people who receive it there. In Wales, the Welsh government has created the Welsh Independent Living Grant for “more than 1,600” ex-ILF users, with the same level of funding guaranteed until at least March 2017. Sally Witcher, chief executive of Inclusion Scotland – a consortium of organisations of disabled people which the Scottish government asked to help set up ILF Scotland – says the development of the new fund was a great example of the government listening to the concerns and desires of disabled people, and involving them in setting up the organisation. “When the closure of the ILF was announced and disabled people in Scotland were asked about what they wanted to happen to Scotland’s share of ILF money, they were adamant that it should not be devolved to local authorities,” she says. Harvey Tilley, chief executive of ILF Scotland, agrees that the Scottish fund is a “bold” response to demands from disabled people in both Scotland and Northern Ireland. “There was a huge anxiety from disabled people about the abolition of the UK ILF, and a real relief that they would still have a consistent resource to support independent living, rather than just depending on the statutory level of care from local authorities,” he says. Izzi Seccombe, the Local Government Association’s community wellbeing spokeswoman, says: “Council social care budgets are under huge pressure and, without adequate funding to support those who would have previously qualified for ILF, this will create an extra burden on councils’ already over-stretched resources.” The LGA also points out that the government’s own impact assessment in march 2014 of the closure of the ILF says there would be “the real possibility of a reduction to the funding” for ex-ILF users. The minister for disabled people, Justin Tomlinson, promised research to monitor the effects of the closure of the fund in England in a Commons debate on the ILF last summer, saying it would be “completed before the end of the 2015-16 financial year”. The Department of Work and Pensions now insists that it will be “completed by the end of 2016 and will be published after completion”. Everett is clear what needs to happen. He says: “The government should bring the fund back”.